Do you follow us on Pinterest? 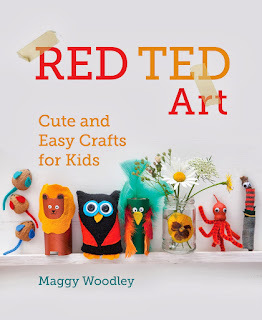 The other day I finally got my hands on the fabulously talented, Maggy Woodley's new craft book for kids, Red Ted Art. Fellow blogging buddy, Maggy (the author of the popular Red Ted Art website) brings us a positively gorgeous book full of cute and easy crafts for kids. She has generously let us share one of the crafts from her book and the little walnut mice were so cute we just had to have a go. I loved the idea of popping a marble inside once they were done and having races with them! And if you want them to race (you will! ), you'll need some marbles. The hardest part about this craft is splitting a walnut in half without cracking it. I struggled for a while until I actually read the instructions in Maggy's book, tried it her way and discovered it was actually really easy! Cut out some little ears and a tail from your felt and glue to your walnut. Draw on your nose and eyes (or, like us you could stick on some googly eyes) and voila, your little mice are done! I made one end of the tail a bit thicker so that I had something more to adhere to the underside of the walnut when I tucked the tail under. You may need to hold the tails in place for a little while as the glue dries. Then it was time to race them! Simply sit the walnut mouse on top of a marble and put it on an incline. 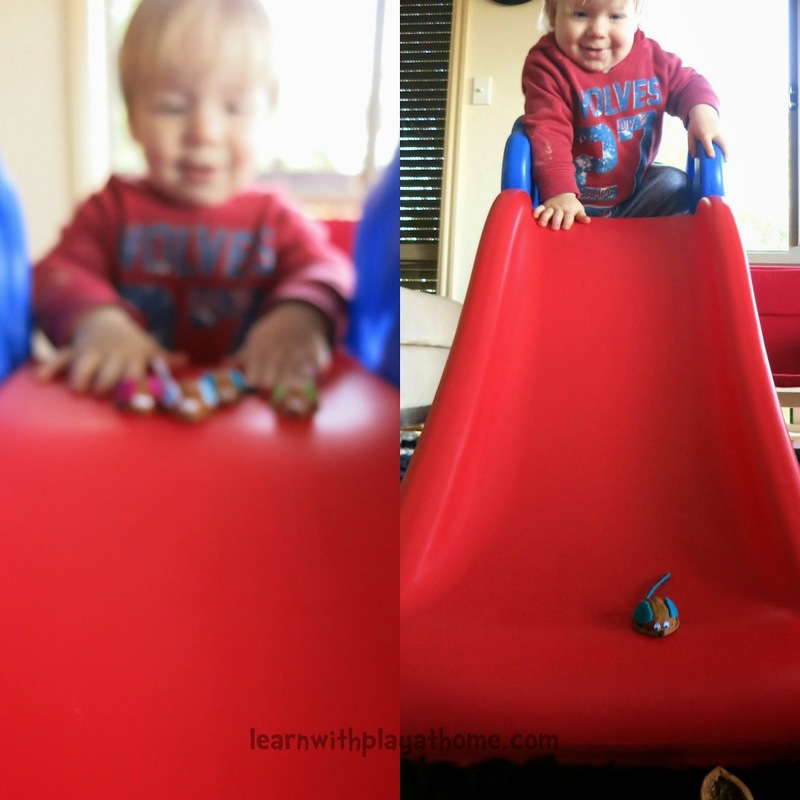 Little N had such a fun time racing the mice down his slide. He was so excited he was constantly on the move, making it impossible for me to photograph. You get the idea though. 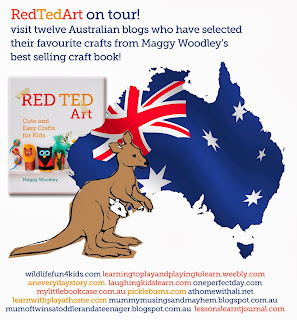 Red Ted Art – Cute and Easy Crafts for Kids is available to order through Fishpond with FREE WORLDWIDE POSTAGE and you can also purchase it at all good independent bookstores here in Australia. We are writing this post as part of the Red Ted Art on tour in Australia! Check out the posts from some of my fellow Australian Bloggers and see some of the other fabulous crafts this book has to offer. 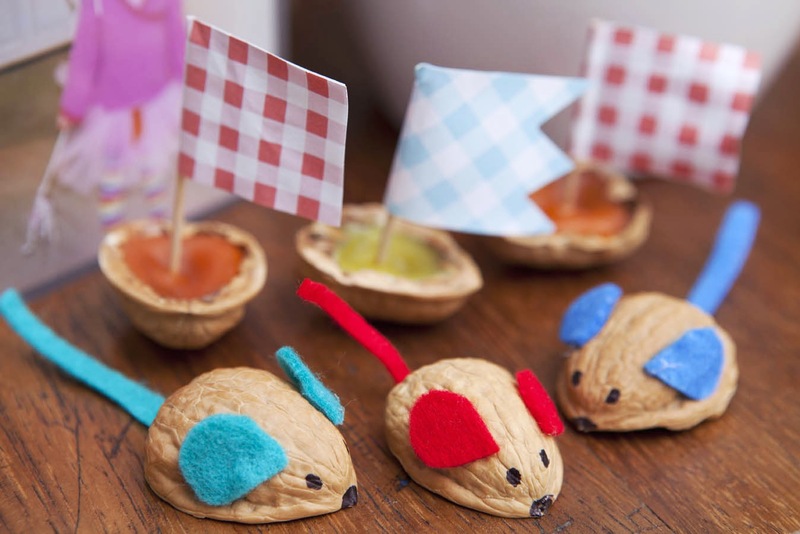 Those walnut mice are super cute! Our little ones would love to race them down the slide. 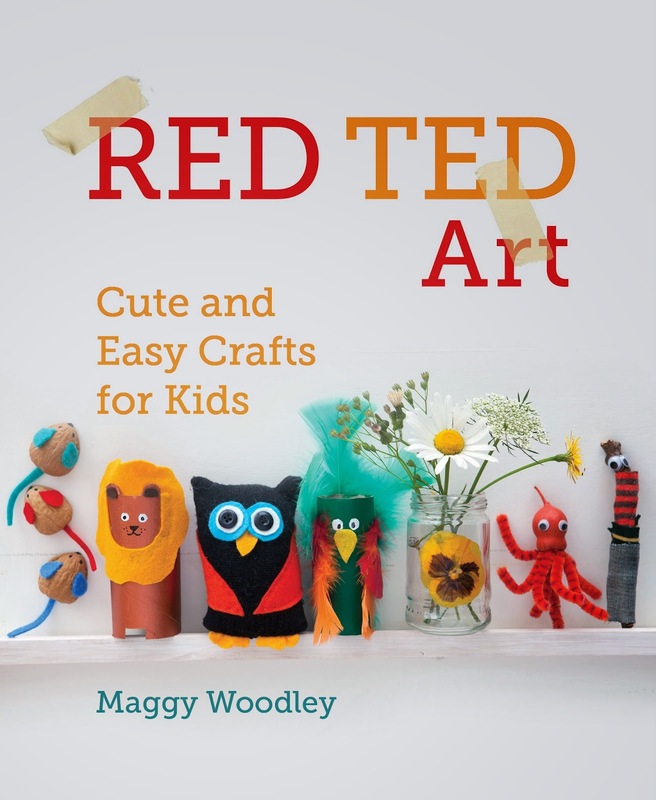 The Red Ted Art Cute and Easy Crafts for Kids book looks amazing. What fun! Very cute! I love how they race! Very cool - can't wait to get my hands on this book! The racing takes them from just a cute craft to a cute and SO FUN craft! haha. Oooh your mice are so ADORABLE!! Love them (and you DO take great photos). Thank you so much for supporting the book tour, very much appreciated. featuring this cute guys on the kids co-op today!